It’s been over 10 years since the original version of Final Fantasy XII was released. Back then, the game was a significant deviation from the long-standing Final Fantasy formula. The game featured a new and more open progressions system as well as a new real-time combat system that became the precedent for future combat systems in the franchise. It was also the most visually beautiful and impressive Final Fantasy game at the time. 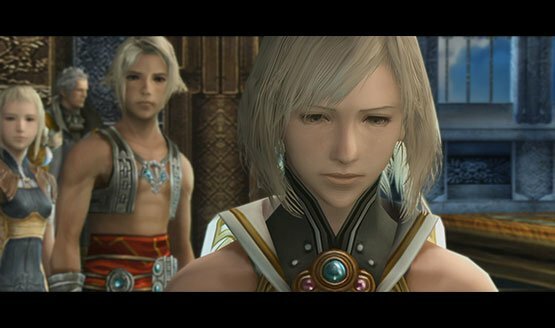 In spite of its successes though, FFXII wasn’t perfect. And a little over a year after its release, the International Zodiac Job System version of the game was released in Japan. 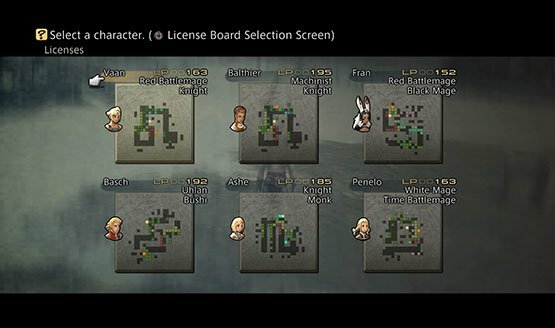 Final Fantasy XII: International Zodiac Job System, which ended up only being released in Japan, introduced some significant changes and additions in the games including the titular Zodiac Job System, which solved the original’s late-game problem of each character ending up pretty much the same. The new system expanded the original’s single License Board into a total of twelve, each representing a sign of the Zodiac as well as a specific job including White Mage, Dragoon, Machinist, Red Mage, Knight, Monk, Time Mage, Breaker, Archer, Black Mage, Samurai, and Thief. The International Zodiac Job System version also added two New Game+ modes (a Strong and Weak mode), an unlockable Trial Mode, a fast-forward feature that doubles the game speed, a new Quickening system, and a slew of other changes. It was this version of the game that was then announced, almost 10 years later, to be getting a high-definition remaster called The Zodiac Age that would be released worldwide, ostensibly making the changes brought about by the Japan-only International Zodiac Job System version available and playable to audiences around the world. The visuals of The Zodiac Age have been greatly improved from the original, with some coming close to being acceptable for current generation standards. The textures and visual effects have all been improved including the game’s character and monster models and lighting, respectively. The environments are where the visual improvements are most noticeable though. Although, while most of the remaster’s visuals are impressive, flaws can be seen during the game’s cutscenes as facial features and other elements begin to lose detail when seen up close. One can only do so much to improve a game’s original visuals without completely redoing them though, which is easier and part of the approach Square Enix took with the game’s audio. Not only have they improved the game’s voices but they’ve also re-recorded the game’s soundtrack and even added eight original tracks, all of which are incredibly impressive. For those who’d like to hear the soundtrack in its original form, that’s included as well and the two versions can be easily switched between through the game’s menu. Additionally, the game now supports 7.1-channel surround sound. 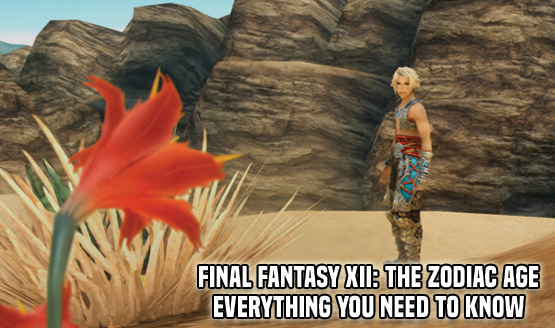 As previously mentioned, The Zodiac Age is based on Final Fantasy XII’s The International Zodiac Job System version and as such has included the latter’s expanded job system. Unlike The International Zodiac Job System though, players will be able to select up to two jobs in The Zodiac Age by unlocking the “License Board Plus” node in a character’s primary License Board. Identical nodes unlocked in one board will also be unlocked in the other. This new feature allows players to build much more dynamic characters and figuratively adds to the amount of content the player can experience. Allowing characters access to more than one job is also part of the Square Enix’s objective to make The Zodiac Age easier than its previous iterations, something that’s also clearly felt in the game’s battles. Regular battles and even boss battles are now noticeably less challenging than in the game’s previous versions. It’s now quite possible to activate Gambits on all the active characters and use that with the game’s fast forward feature to quickly run through an area whilst hastily defeating all the enemies on the way without any effort. Square Enix has also improved the aforementioned fast-forward feature, as it now has both double and quadruple speed options and characters are now easier to control while it’s active. Other quality of life improvements or additions also include faster loading times, a new transparent overlay map which makes it even easier to traverse the game’s maps, an auto-save feature which is incredibly helpful for times when a save point isn’t readily available or when a player forgets to save, and map hints in the main map screen to help players remember their current objective. Those who’ve finished the main story can either play the aforementioned Strong variant of the New Game+ mode in which characters start at level 90 or they take their saved characters with their equipment and abilities into Trial Mode, a 100-stage survival mode where players can really test the capabilities of their characters. Trial Mode features a wide range of enemies of increasing difficulty including a fight against all five Judge Magisters. Those who then beat the Trial Mode will have access to the more difficult Weak variant of New Game+ wherein characters star at level 1 but never level up. 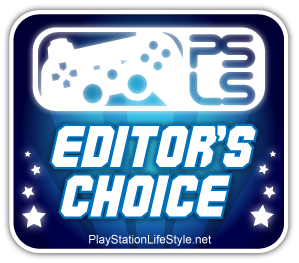 Review code for Final Fantasy XII: The Zodiac Age provided by the publisher. Reviewed on PS4. For more information on scoring, please read our Review Policy here.